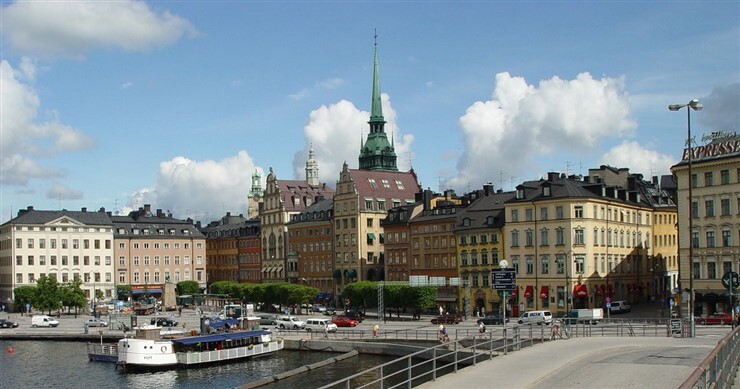 A visitor who wants to visit Sweden as a tourist needs to have a short term visa. The short term visa is a permit to enter Sweden for a short period of time. It is meant for those visitors who wish to visit Sweden for the purpose of tourism, visiting friends and relatives, business meet or participating in a conference. This visa is also known as Schengen (tourist) visa. Since Sweden is a member of the Schengen Agreement, it follows the common visa rules applicable to all Schengen countries. In other words, the Schengen visa is valid for all the European states that are part of the Schengen agreement, including Sweden. This means that a visitor who is issued the Schengen visa can travel and stay not only in Sweden, but in all the 26 countries that participate in the Schengen Agreement. The Schengen visa is issued for a maximum duration of 90 days per six-month period. Obtain the visa application form from the Embassy of Sweden in your country or you can download the Visa Application Form through the internet. Check the fees required for your visa application. Keep the fee ready for submission along with your visa application form. Remember to check the mode of payment accepted for the visa application by the Embassy of Sweden located in your home country. Generally, visa application fees are accepted in the form of Bank Draft drawn in favour of the “Embassy of Sweden (Visa)”. Submit your completed visa application form in person or through accredited travel agents at the Embassy of Sweden nearest to you, along with all the required documentation. In case you want to stay longer in Sweden than the duration granted in your visa, you will have to apply for an extension. If you are refused an extension as you have already been issued a stay of 90 days in Sweden, you can apply for a residence permit. This rule also applies to all the visa-free visitors who want to stay in Sweden for more than 90 days. However, you will be granted an extension of your visa under certain circumstances like force majeure, humanitarian reasons and compelling personal reasons (health issues or business visit). Note that an application for visa extension is free of charge in case of force majeure and humanitarian reasons. However, a charge of EUR 30 (INR 2,278.11) is applicable in case of visa extension due to compelling personal reasons. Check your travel plans before making your visa application to the Embassy of Sweden. If you plan to travel to multiple Schengen countries, you must apply for visa to the embassy or the consulate where you will be staying for the maximum number of days, or from the point of first entry into the Schengen countries, if the duration of stay is the same in more than one Schengen country. You must remember the following dos and don’ts while applying for Sweden Tourist Visa.